The Local is pleased to announce that Daniel Maurer, co-founder of the New York magazine restaurant blog Grub Street, has been named the blog’s next editor, effective in August. 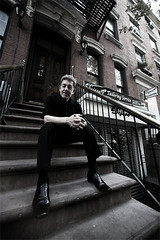 Mr. Maurer was an online producer and editor of nightlife listings at New York magazine before co-founding Grub Street, one of New York’s pioneering restaurant blogs, in 2006. While writing more than 7,500 posts over five years, Mr. Maurer grew the blog’s traffic steadily and helped expand it to five other cities. Grub Street New York was nominated for three James Beard Foundation Journalism Awards — it won in 2008 (for Multimedia Writing on Food) and then again in 2011 (for Group Blog) when Mr. Maurer was chief editor. It has also been nominated for a National Magazine Award and won a MIN Best of the Web award in 2007. The students of The Hyperlocal Newsroom (from left): Claire Glass, Kathryn Kattalia, M.J. Gonzalez, Crystal Bell, Rachel Ohm, Ian Duncan, Grace Maalouf, Greg Howard, Mark Riffee, Kenan Christiansen and Hadas Goshen. Today, we would like to extend our appreciation to the students and community contributors who have joined our experiment in collaborative journalism in recent months. They have joined so many others who have shared their talents and energy with the blog. The site could not exist without them – and all of you who read and engage with The Local. This blog began with an invitation. 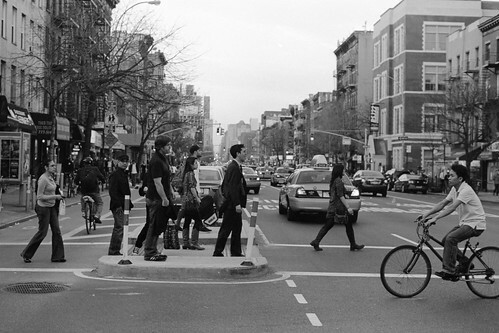 From our very first post, The Local has sought to bring our neighbors in the East Village into the process of producing news and telling their own stories about their community. Recently, The Local quietly marked six months of publication and while the wonderful experiment that it represents will continue, my time running the site is coming to an end. In August, after what will have been 20 months of planning, developing and publishing The Local, I will step down to pursue other ventures and to devote more time to completing my doctoral dissertation. Today, NYU is opening the search for the next editor of The Local. Whoever gets the job will be stepping into a position that is exciting, challenging and rewarding and one that is very much helping to drive the industry-wide conversation about digital storytelling, hyperlocal news and the future of pro-am journalism partnerships. 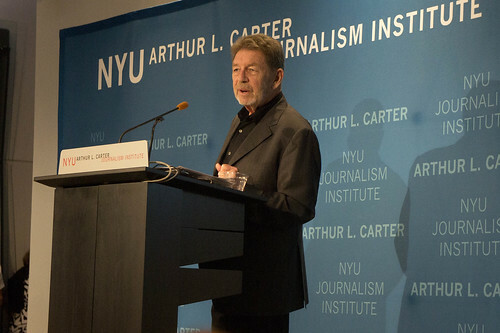 Steven Hirsch Pete Hamill at NYU’s Arthur L. Carter Journalism Institute. We’re now happy to be able to make available a complete video of Mr. Hamill’s remarks here. We hope that you will join us Sept. 23 for a night in which we at The Local, as the new blog on the block, celebrate the rich history of the East Village with a reception and lecture by NYU Journalism’s own Pete Hamill. Mr. Hamill, a resident of East Ninth Street and Second Avenue back in the day, will discuss ways that storytellers – from student journalists to community contributors to professionals – can bring tales from the neighborhood’s hidden past into the present. The celebration begins at 6 p.m. at 20 Cooper Square, 7th Floor with music, food and libations to follow. Please come. 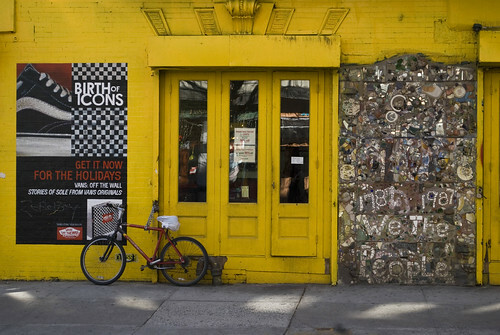 On its face, The Local East Village is a collaborative experiment between a learning institution, the Arthur L. Carter Journalism Institute at New York University, and a newspaper, The New York Times — but it’s much more than that. The Local has been conceived and designed to help foster a journalistic collaboration with a third partner, our neighbors in the East Village. The site is designed to reflect our community, report on its issues and concerns, give voice to its people in a wide-reaching online public forum and create a space for our neighbors to tell stories about themselves. Our coverage area — which extends from Broadway to the East River, 14th Street to Houston Street — is home to roughly 70,000 people and features a sturdy and robust blogosphere. What can we contribute? A healthy respect and appreciation for our neighbor blogs; the academic and intellectual resources of NYU; the vast journalistic experience and high professional standards of The Times; and a commitment to do our best to reflect the richness and texture of life in the community we share. One of those ways is through the Virtual Assignment Desk, an application produced by students at New York University and which makes its debut on this site. It is designed to provide readers with a seamless, intuitive tool for interacting with the process used in producing and shaping news. Those who use the desk can identify stories that they would like to see covered or volunteer to cover assignments themselves. Jenn Pelly The East Village. For much of the past year, The New York Times and the Arthur L. Carter Journalism Institute at New York University have been working to bring you — our neighbors in the East Village — this experiment in journalistic collaboration. As we launch The Local today, know that what you are seeing is not the culmination of that work, but rather the beginning of it. And so we start with our most important task, extending an open invitation to everyone in our community to participate in our site, which is designed to provide news, offer a forum for perspectives and opinion and promote a neighborhood-wide conversation about the issues that mean the most to us in this community. You’ll see posts about some of those issues today — stories about culture and politics, the voices of established neighborhood institutions and those that are emerging — that will give you some idea of what we’re about as a site. We’ll talk more about the The Local’s mission later today, but first I’d like to introduce you to some of the people behind the site and invite you to engage with us all. 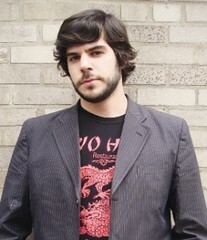 I’m Rich Jones, the editor, and a former reporter at The New York Times who is now a visiting professor at NYU. I consider myself a storyteller in the tradition that puts the focus on the story and not the teller. So in the days and weeks ahead, my voice will recede from the site and be replaced by all of you telling your own stories about our community. Some of you have already met Kim Davis, our community editor, who is an important liaison between the site and our neighbors. Mary Ann Giordano, a deputy metro editor at The Times, is a coordinator of The Local blogs under whose guidance we will produce the site. Jim Schachter, an associate managing editor at The Times, will also play a key oversight role. At NYU, the project has been led by Brooke Kroeger, the director of the Carter Institute, and Jay Rosen, whose students and faculty colleagues in the Studio 20 concentration, especially Jason Samuels, have played a crucial research and development role in laying the foundation for the site. 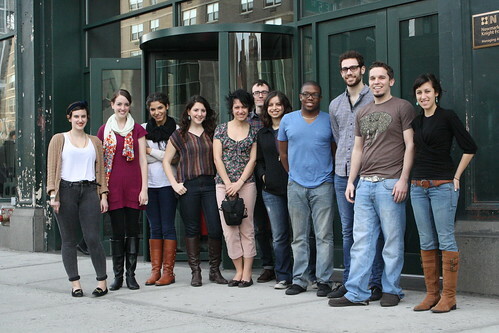 Many of the posts will be contributed by the students in the Hyperlocal News class, which is led by Yvonne Latty, Mary Quigley and Darragh Worland, and recognition should be given to the support provided by the larger community at NYU, including students, professors and administrators in journalism, at the Stern School of Business, at the Interactive Telecommunications Program at the Tisch School of the Arts, as well as from our deans of the Faculty of Arts and Science, Jess Benhabib and Dalton Conley. The project has also benefitted from the good offices of NYU Provost David McLaughlin and President John Sexton. And, of course, I must acknowledge the most significant ingredient in our collaboration — you. Ours is one of the most distinct neighborhoods in New York — full of color and energy, heart-wrenching sadness and unexpected humor and uncommon grace. In other words, it is a wonderful place for us to tell stories.